At first I wrote it off as an administrative oversight--I assumed that they had simply forgotten to upload the reports for the last few years, so I used Google to try and find the reports in case they were uploaded to the city's website or some other source. 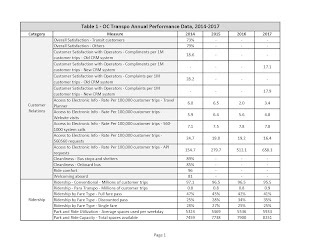 "I was not able to locate OC Transpo Annual Performance Reports after 2014 either in the documents records of the Transit Commission or on the OC Transpo website. 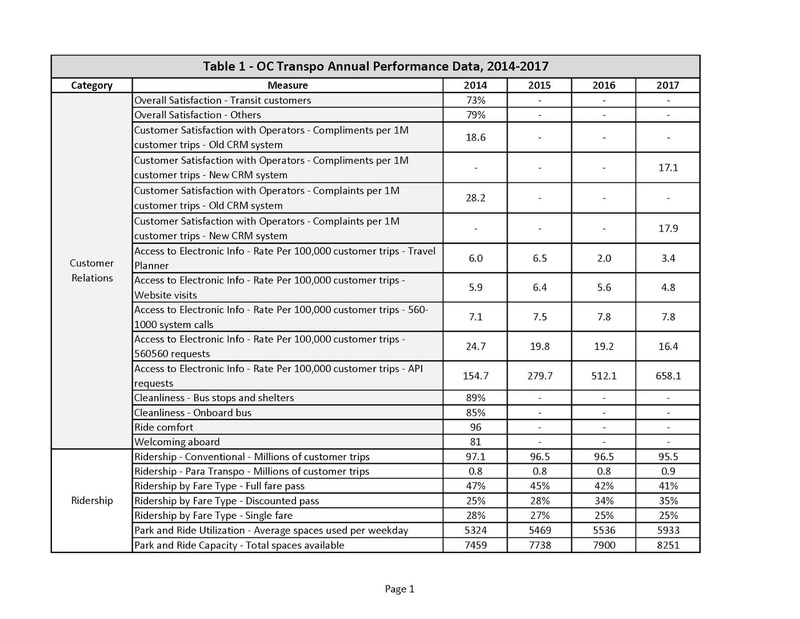 Were Annual Performance Reports prepared for 2015, 2016 and 2017? If so, can these reports be posted on the OC Transpo website? If not, could staff please provide updated statistics for all of the figures measured in the 2014 Annual Performance Reports through to 2017." 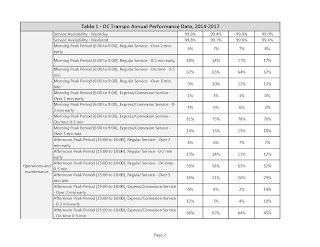 "Annual performance reports have not been published for 2015, 2016, or 2017, as operations have not been comparable to the previous years because of the effects of construction of O-Train Line 1, the Confederation Line. Staff continue to monitor and track key performance measures to identify system changes and proactively make improvements where required, and where resources are available. "Staff will be developing a new performance reporting dashboard following the transformation of OC Transpo into a multimodal system with the opening of O-Train Line 1, the Confederation Line, which will be based on current best practices in the transit industry." This, to me, is an unsatisfactory response. Impacts on service levels as a result of LRT construction was to be expected, but that doesn't mean OC Transpo can simply not issue reports to the public. 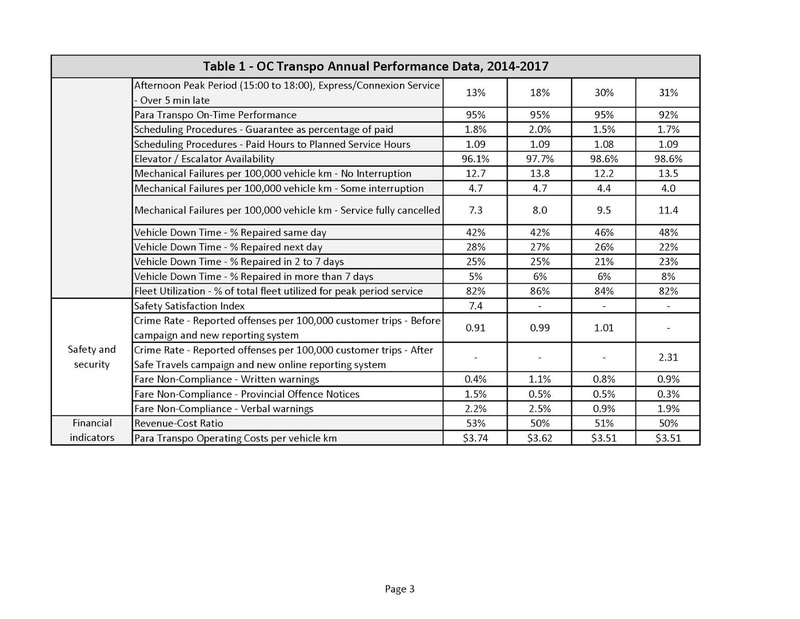 In fact, these reports could have provided valuable context and qualitative explanation to the service impacts that transit users are witnessing every day. 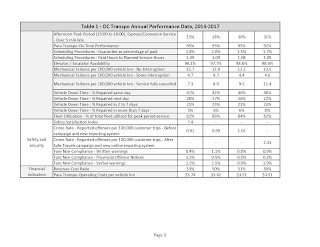 Along with their response, OC Transpo included a table outlining a series of performance data metrics related to customer relations, ridership, operations and maintenance, safety and security, and financial indicators. Ridership declined again in 2017 to 95.5M trips, the lowest number since the transit strike cratered ridership in 2009. On-time performance is flagging, likely due to the effects of LRT construction; 13% of morning peak-period regular-service buses are more than 5 minutes late (18% for Connexion), and 29% of afternoon peak-period regular-service buses were more than 5 minutes late (31% for Connexion). No ratings for overall satisfaction were published for 2015, 2016 or 2017--I'm not sure if they didn't ask customers or if they simply didn't want to release the information, but the gap certainly stands out. The rate of mechanical failures per 100,000 vehicle kilometres where service was fully cancelled has gone up pretty significantly, to 11.4 in 2017 from 7.3 in 2014. I haven't seen coverage of this, so I'm unsure whether it's simply bad luck or if there are some red flags leading to these problems. The revenue-cost ratio, or percentage of operating costs paid by transit users, remains at 50%. I appreciate this amazing post that is why I am reading this because when I came at this site and read some information I found that it is helpful or shareable. Like recently i was looking for VPS Hosting Service and i found useful source.